A great video which looks at the pros and cons of using different social media platforms. For your comp task you need to create a blog post which outlines some of the best ways libraries can use Twitter and why it might be better for some purposes than using other social media platforms. Be able to update their members with quick short messages eg. "The library will close early at 4.00pm on 21 April to celebrate Margie's birthday." To link new products or news which are held on the library's website. To link to a website or item that is library related in some way eg. Announcement of Children's Book Week award winner. To provide photos and updates of library events. To point library users to information elsewhere that is more in-depth eg. the progress reports on a new library building. 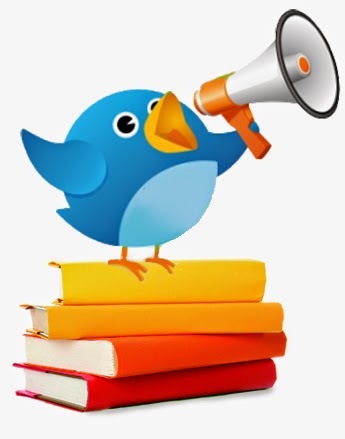 Take a look at the Twitter feed for @EasternRegional library service. They use their Twitter feed for all of the above reasons. Twitter is also ideal for library staff to use to increase their professional knowledge. Staff can follow organisations such as ALIA or leaders in the industry and gather ideas about latest issues, technologies and techniques. Twitter is quick, mobile and easy to manage. In our Search Library Databases subject we are practising how to search some of the VU library academic databases. I found a great article on why libraries should use social media. Why should libraries use blogs? For your comp task you need to include a post on your blog discussing what libraries should use blogs and what are good uses of blogging in a library environment. To get some inspiration you might like to read this article on library blogging. Blogs are an ideal tool for these purposes because the are easy to complied and navigate, allow for long posts where necessary, allow for the inclusion of video or images, can be authored by multiple people, use tags or labels and archive facilities to enable searching via subject and can be followed by readers using RSS feeds or email. Just like magic we can include a video in our posts. Can I back up my blogger blog? Our blogs can become very precious to us. If you have invested a lot of time and resources into building your blog you don't want to lose it because the Blogger server goes down or gets sold to another company. You can save a backup of your blog by going to the blog settings and choosing - other - import/export blog. We all added a list of our post labels to the side bar or our blogs using the add a gadget feature in blogger. That was ok and a really important thing to do so that people can find items on our blog but most of us got a bit carried away with the add a gadget feature and started adding things like pictures of puppies and quotes of the day. All good. No-one said your blog couldn't be fun! Today we are going to do some more work on our blogs. I'd really like everyone to be able to find some library related blogs they like and post a link to them. Looks for some blogs created by library people and some blogs created by libraries themselves. I'd also like us to explore the use of labels or tags in our blog posts and apply these to blog entries. Can you include a list of labels on the sidebar of your blog? I'll start off with a good blog to follow. ALIA Students and New Graduates which is built using the Wordpress platform. Libraries Interact - a blog about Australian library blogs. Interesting but not always up to date. 23 Mobile Things - an online course created by library people to learn about mobile technologies. I've created a separate page on this blog with the requirements for your Comp Tasks. There is a lot to get through with Comp Task 1 on blogging. You'll need to refer back to this task throughout the semester as we cover different aspects of social media. Throughout the course we will be using our blogs to share information and keep track of our learning. I chose the Blogger software platform because it is familiar, popular and easy to use. Blogger is one of the most popular free blogging tools available. You'll need to become familiar with the many features of Blogger. The best place to start is the Blogger Help Centre. There are loads of tutorials including some great videos. Take some time to familiarise yourself with the Blogger help Centre. You can also use resources from the VU library such as Google Blogger for Dummies which is an electronic book you can read on your computer screen. Hi Everyone. Welcome to the social media 1 class blog. You'll all be creating your own blogs using the Blogger software and sharing them with your classmates. I look forward to blogging with you. Libraries & their use of Social Media.